Single Wall Tanks - Value-Paks - Peabody Engineering & Supply, Inc. 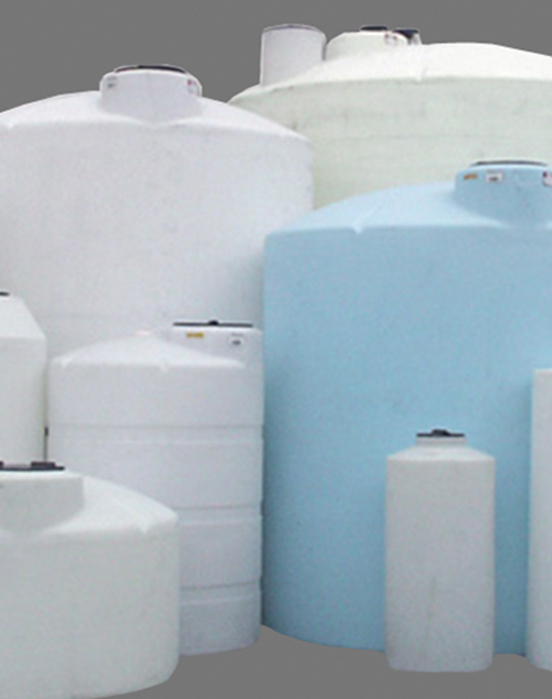 Single Wall Tanks are manufactured from a high purity FDA approved HDPE (High Density Linear Polyethylene) resin. 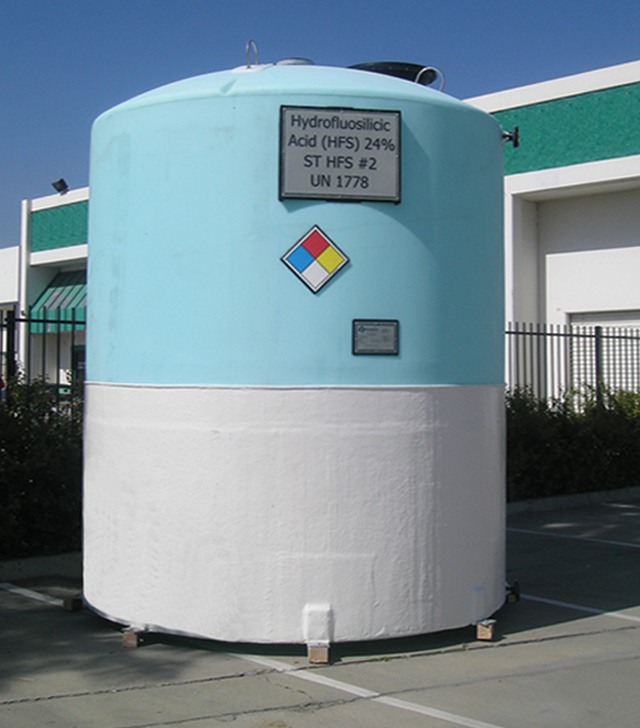 HDPE tanks have superior chemical resistance, extreme durability and excellent UV stabilizers, making them an ideal choice for a wide range of applications from food processing and semiconductor to heavy duty industrial chemical storage. 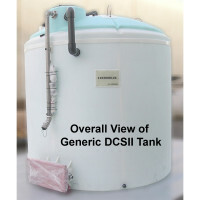 Most of our tanks are also NSF 61 compliant. 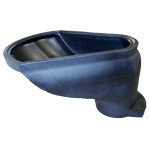 HDPE resins are weldable, allowing for installation of welded process nozzles from 1/2” to 14” and larger if required. 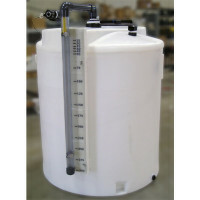 Our standard tanks are rated for 1.5 Specific Gravity contents. We offer 1.9 SPG tanks upon request. Tank Packages designed with our most popular options making Single Wall Tank Systems simple, feature rich and easy to order. Go here if you are interested in Value-Paks for Double Wall Tanks. 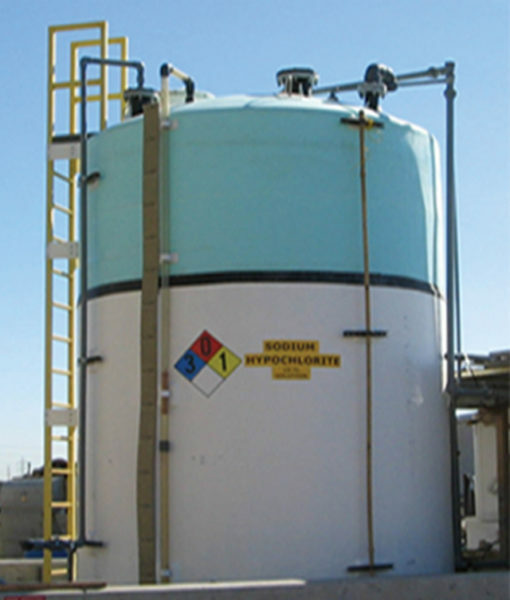 - CAD Drawings CAD Submittal Drawings are provided to ensure the tank meets the needs of your application. 293-29106 850 Gallon Single Wall Value Pak 48" 118"
293-29107 1000 Gallon Single Wall Value Pak 64" 80"
293-29108 1100 Gallon Single Wall Value Pak 87" 53"
293-29110 1550 Gallon Single Wall Value Pak 87" 67"
293-29112 2100 Gallon Single Wall Value Pak 87" 89"
293-29113 2500 Gallon Single Wall Value Pak 95" 91"
293-29114 3000 Gallon Single Wall Value Pak 95" 109"
293-29115 4000 Gallon Single Wall Value Pak 102" 125"
293-29116 5000 Gallon Single Wall Value Pak 102" 152"
293-29117 6000 Gallon Single Wall Value Pak 102" 182"
293-29118 6500 Gallon Single Wall Value Pak 119" 150"
293-29119 7800 Gallon Single Wall Value Pak 119" 176"
293-29120 8400 Gallon Single Wall Value Pak 119" 188"
293-29121 9000 Gallon Single Wall Value Pak 141" 146"
293-29122 10000 Gallon Single Wall Value Pak 141" 160"
293-29123 12000 Gallon Single Wall Value Pak 141" 193"
293-29124 15000 Gallon Single Wall Value Pak 141" 244"
293-29128 850 Gallon Single Wall Value Pak 48" 118"
293-29129 1000 Gallon Single Wall Value Pak 64" 80"
293-29130 1100 Gallon Single Wall Value Pak 87" 53"
293-29132 1550 Gallon Single Wall Value Pak 87" 67"
293-29134 2100 Gallon Single Wall Value Pak 87" 89"
293-29135 2500 Gallon Single Wall Value Pak 95" 91"
293-29136 3000 Gallon Single Wall Value Pak 95" 109"
293-29137 4000 Gallon Single Wall Value Pak 102" 125"
293-29138 5000 Gallon Single Wall Value Pak 102" 152"
293-29139 6000 Gallon Single Wall Value Pak 102" 182"
293-29140 6500 Gallon Single Wall Value Pak 119" 150"
293-29141 7800 Gallon Single Wall Value Pak 119" 176"
293-29142 8400 Gallon Single Wall Value Pak 119" 188"
293-29143 9000 Gallon Single Wall Value Pak 141" 146"
293-29144 10000 Gallon Single Wall Value Pak 141" 160"
293-29145 12000 Gallon Single Wall Value Pak 141" 193"
293-29146 15000 Gallon Single Wall Value Pak 141" 244"
293-29150 850 Gallon Single Wall Value Pak 48" 118"
293-29151 1000 Gallon Single Wall Value Pak 64" 80"
293-29152 1100 Gallon Single Wall Value Pak 87" 53"
293-29154 1550 Gallon Single Wall Value Pak 87" 67"
293-29156 2100 Gallon Single Wall Value Pak 87" 89"
293-29157 2500 Gallon Single Wall Value Pak 95" 91"
293-29158 3000 Gallon Single Wall Value Pak 95" 109"
293-29159 4000 Gallon Single Wall Value Pak 102" 125"
293-29160 5000 Gallon Single Wall Value Pak 102" 152"
293-29161 6000 Gallon Single Wall Value Pak 102" 182"
293-29162 6500 Gallon Single Wall Value Pak 119" 150"
293-29163 7800 Gallon Single Wall Value Pak 119" 176"
293-29164 8400 Gallon Single Wall Value Pak 119" 188"
293-29165 9000 Gallon Single Wall Value Pak 141" 146"
293-29166 10000 Gallon Single Wall Value Pak 141" 160"
293-29167 12000 Gallon Single Wall Value Pak 141" 193"
293-29168 15000 Gallon Single Wall Value Pak 141" 244"